It's always been felt that games need a strong sense of identity to sell, especially mainstream ones, modern games tend to create that sense of identity themselves by creating characters and worlds that developers know will capture the interest of consumers. 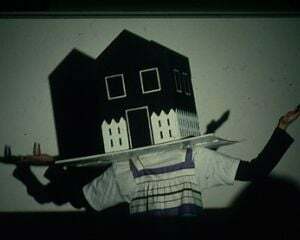 It wasn't always like this though, there have always been mascots and icons in games but there was a time when developers weren't as sure of creating their own sense of identity, or indeed weren't capable of because of the limitations of the hardware at their disposal. Borrowing from movies, or licensing movie rights, then offered a nice middle ground between creative freedom and a proven intellectual property. In some cases this was more like inspiration or copycatting, Blade Runner partly inspired Syndicate and Snatcher, but also fed into the inspiration for a lot of games in the early nineties that never made it very far. 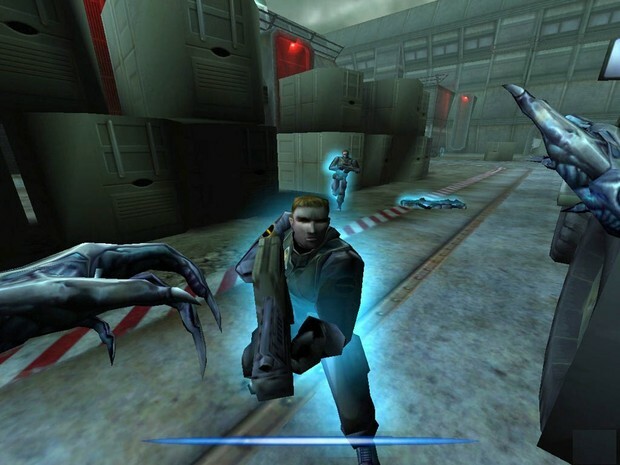 Other games were able to license and officially represent the IP. This happened with various movie franchises, with varying degrees of success, one of the more successful examples being the Aliens Vs Predator series. 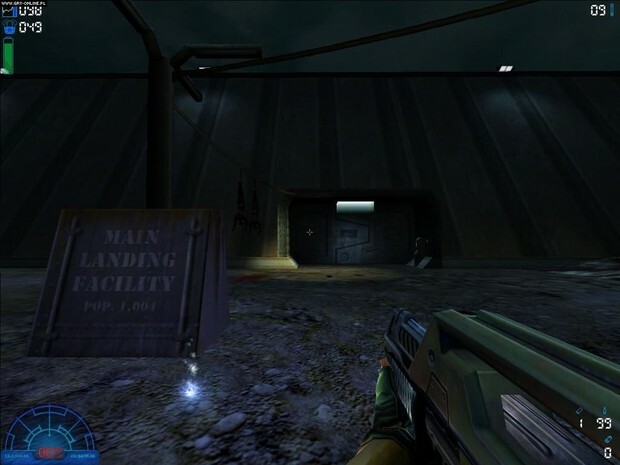 As far as I know Aliens Vs Predator started with a comics crossover, but then moved to games in the early nineties on the jaguar with Rebellion's Aliens Vs Predator (forewarning, this is literally the name of almost every AvP game, and it can get a little confusing without platform or year notes nearby). That original Aliens Vs Predator for the Jaguar was a sort of arcadey shooter that had some success; I won't go through every iteration in the franchise, but there was also a pretty decent side-scrolling, fighting game made by capcom for the arcades aswell, between that and the semi-sequel/semi-reboot in 1999. 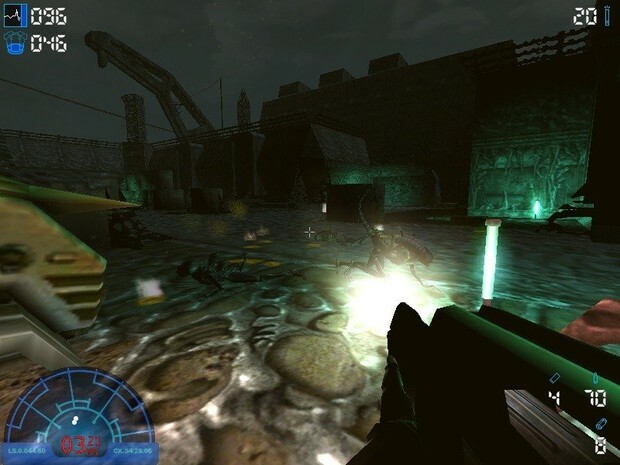 The next AvP game (atleast as I'm counting them) was Rebellion's 1999 effort, a more modern attempt at an AvP FPS - it was 3D and let you play as all three races, with each having their own separate story. 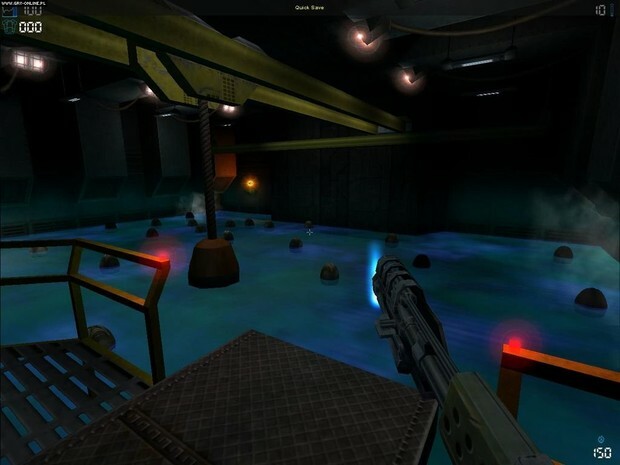 It was a very arcade-ish game in some respects, you didn't really have proper objectives and missions were very short but as the marine atleast it could be scary as hell and very challenging. Not everybody thinks it stood the test of time and truth be told its kind of gameplay has fallen out of favour these days but it still retains some of the fun it had back in the day. AvP2 was a different sort of beast entirely though. 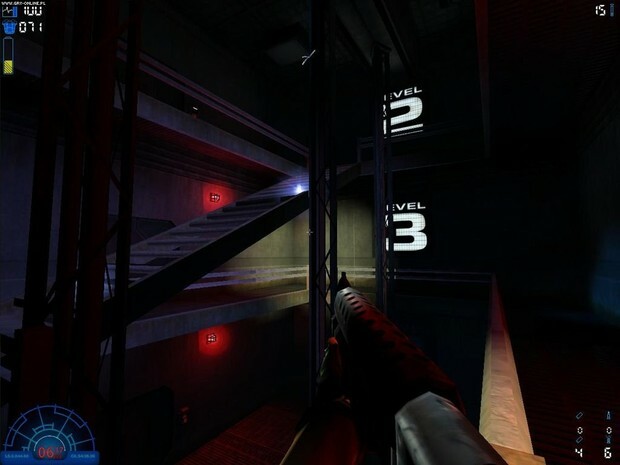 Created by Monolith, who'd only just had a series of successes with games like Blood 2, Shogo and No One Lives Forever, it was a completely different experience compared to Rebellion's effort. It was narrative heavy and pretty scripted but also very cinematic and a lot more engaging compared to its predecessor. In many respects it emulated the experience of the films a lot better. So what is it the game does so well? I think probably the biggest thing the game has going for it is the quality of the story, not only is it solid and believable it also makes sense in terms of the context of the movies (atleast the Aliens movies), and in many respects it feels like a cinematic continuation of the story of the Aliens movies, just with predators involved, in a game. I think it achieves this primarily because so much of the story is borrowed from the movies and then extrapolated on. For example, in the movies Weyland-Yutani pretty much fits the archetype of the evil, faceless corporation, with no concern for human life and whose only desire is to exploit everything and anything they can. As such the xenomorph to Weyland-Yutani is just another resource to be exploited, for whatever technological or biological advantage it may give them over their competition. Perhaps it's because of hubris or ignorance but they don't really see the xenomorphs as the hostile alien killing machines, the biological plague, that they are, because they want to exploit them. This is probably the key motivating factor behind the events of both Alien and Aliens: Ash betraying the crew and manipulating them to further possible collection of specimens in Alien; and Burke ordering the colonists to investigate the ship in Aliens, leading to the small colony becoming overrun. This is taken to the next logical step with AvP2. LV-1201, a jungle world, is discovered to be the site of a giant alien hive, home to thousands of drones, alien queens but also an empress, aswell as apparently ancient structures constructed by some unknown race (the predators). A large colony structure is then built, seemingly several times the size of the colony on LV-426 and called the P.O.C. � or Primary Operations Complex, aswell as the Forward Observation Pods that serve as a hub for all research and development that goes on. Whereas the colony in Aliens is more like a frontier town, the colony in AvP2 is like a mini-city, with over a thousand inhabitants (atleast before the aliens woke up anyway). The principal storyline focuses on an administrator and scientist, Dr Eisenberg, who is obsessed with exploiting the xenomorphs for everything that they're worth. His family influence puts him at the head of the Weyland-Yutani venture on LV-1201, and the large colony and research facility are built to service those corporate interests. As the Alien you play the part of a rogue drone birthed through an accident that occurs when a shady blackmarket deal goes wrong and a shipping container breaks open allowing you, as a young facehugger, to escape into the colony at large. You then navigate the colony structure to find an unsuspecting host; as a newborn drone you then go on to cut your way through the P.O.C., assisting your fellow trapped xenomorphs as you do so, to get to Eisenberg, who is your final boss. A big part of the Alien's plot is the story of the scientist, his motivations, but also the open secret of corruption and dirty deals that forms a central part of daily life in both the P.O.C. and the F.O.P..
As the Marine the story is a bit narrower, it focuses on the story of the marine contingent that comes to investigate the distress call of the P.O.C. right after it's fall, and specifically on the part a single soldier, Andrew 'Frosty' Harrison, plays in the events that unfold on LV-1201. 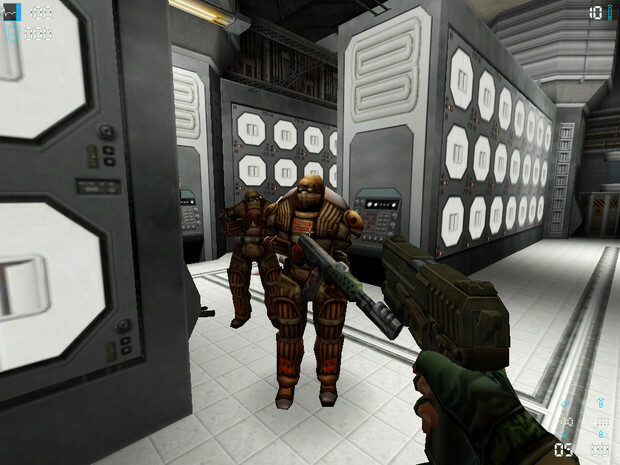 It's pretty much your standard FPS campaign (or atleast standard for late 90's PC), though arguably it is done pretty well. Again the proportions are blown up, you see a lot more marines (die) than in the film, and a lot more hardware, so if you're a fan of the survival/military aspect of Aliens you'll enjoy that part of the campaign especially. The Marine story is a lot more focused on the personal, human, element of what happens and though it does add to the overall story of the events on LV-1201 you don't really have an specific villain to go up against. Indeed the final boss for the campaign is an Alien Empress. She doesn't really say much. As the Predator you play a fairly young hunter, and it's implied you're of royal or atleast noble descent, perhaps a prince; LV-1201 forms the basis of the game primarily because it's a breeding ground for xenomorphs, with a vast underground hive buried deep beneath the surface, this in turn attracts predators to hunt there, that in turn (in part) attracted the corporation and people to the planet. Whilst hunting on the planet some of your fellow predators are caught in a trap laid by Weyland-Yutani soldiers, using advanced EMP weaponry. The central fulcrum of the Predator campaign is a character called General Rykov, the infirm and drug-addicted leader of a PMC, the Iron Bears, who was once a colonial marine and the only survivor of a predator attack on an outpost. 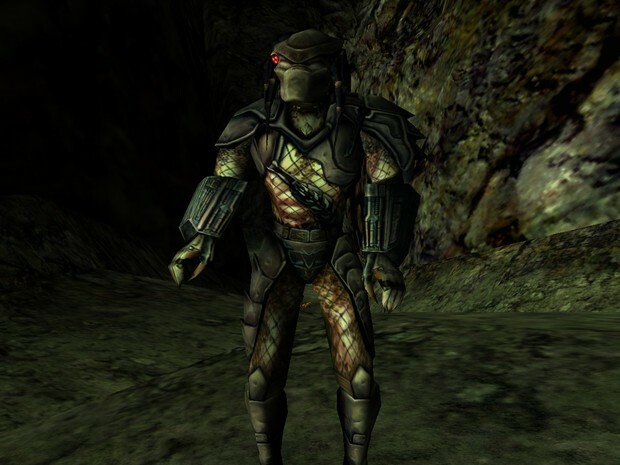 Rykov is left crippled when trying to make his escape, but somehow miraculously survives and goes onto walk again - apparently because of blackmarket connections, but is left a husk of a man, obsessed only with hunting down the creature that crippled him, and taking his anger out on any of its kin he should stumble upon. If you hadn't already guessed it, you're said predator. Or atleast it's heavily implied you are through cutscenes and found documents in-game. That's probably a little more detail than most would put into explaining the story, but I really think one of the strongest things about the game is just how solid the story is. It takes three completely different gameplay styles and characters and interweaves them all beautifully into a story that hangs together really well � even compared to a lot of modern games it's still a very well-written story. It's also worth noting that they've done a really good job of merging the two universes and deciding on which elements to pick from the movies to put in, to make it all fit together. There's plenty of nice little nods to not only Alien and Aliens and Predator but also Predator 2 and Alien 3. 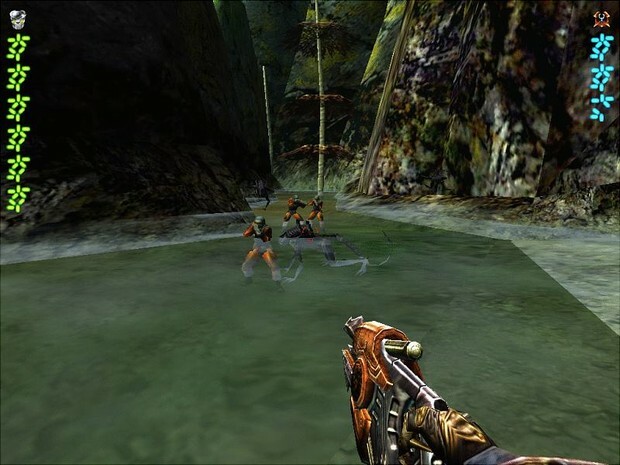 It's also worth noting that the game has some interesting imaginative elements aswell, that seem like them taking liberties with the license to be creative � elements of the colony design for example, the badass miltary power-loader you pilot at one point in the Marine campaign, and the combat synthetics. Some of this obviously inspired by the comics. Regardless though it all contributes to making the game work that little bit better as both a homage to two old franchises and as an original property. 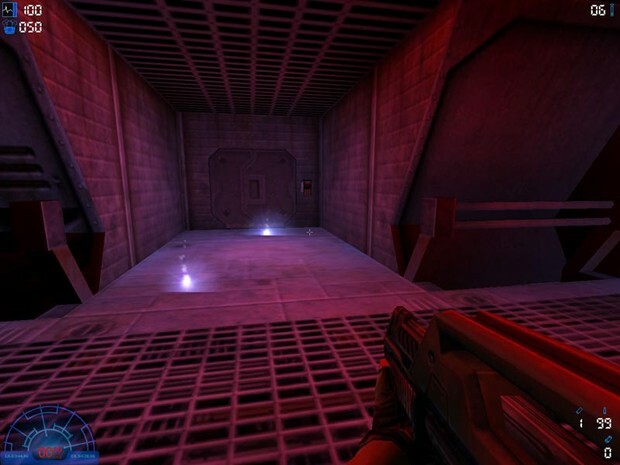 Another large positive worth mentioning is just how well put together most of the game is, you get a really good sense of atmosphere from most of the levels � especially the Marine levels in the dead colony complex, the way that the xenomorph sequences are scripted and the way that the levels themselves are designed works well, and not only can it be quite tense but also genuinely scary, especially since aliens have a habit of coming out of nowhere to claw at you. To this end aswell there are a lot of very good, large-scale set pieces � at one point as the Predator a dropship swoops down suddenly in front of you before unloading on the landing bay you're stood inside; as the Marine you fight an Alien Empress, and this happens in an underground hive, just moments before you make your escape to the surface followed by swarms of drones; and as the Alien you have several boss fights with predators aswell as a tense hive-running sequence. So there's a lot going on. At the time all this stuff really blew me away, but even now it's impressive how much effort they put into the game. There's obviously a lot of love in the game. As a sort of secondary point, perhaps the biggest downside to the game is the reuse of game assets, and the element of error in some of those assets. (For the time) the game looked stunning, very, very, beautiful, and even now it does look pretty good, but it seems like that came at the cost of how many assets they actually made and the detail work that went into them. 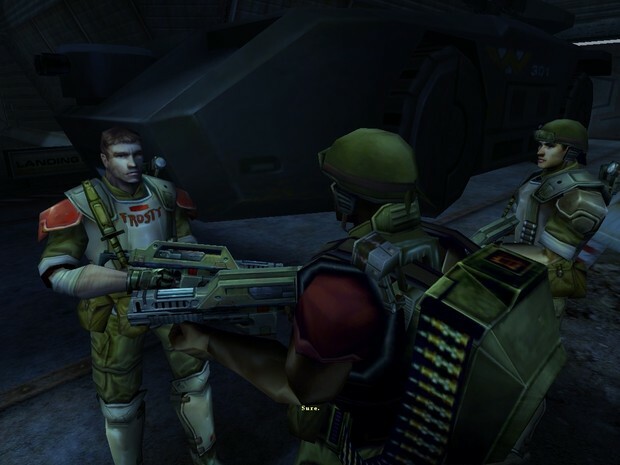 They reused a lot of the NPC assets, especially the marines - there's one character in the game called Duke, who's like the comic foil, or Hudson, of the Marine campaign, always whining and complaining, but they use his character model repeatedly in place of generic marines. 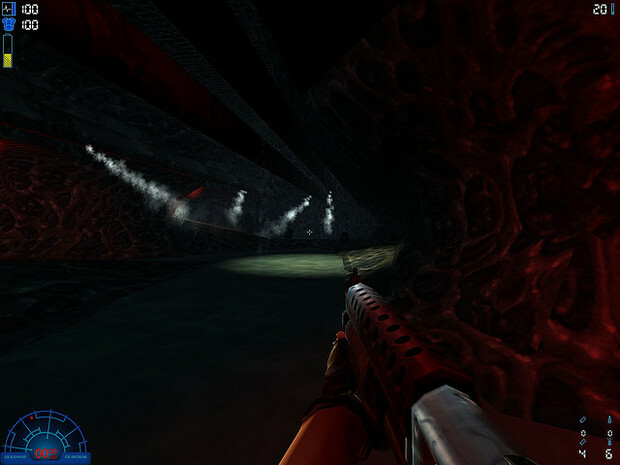 At one point you're moving through an underground system of tunnels and pass his corpses multiple times � he even gets pulled into a vent at one point. 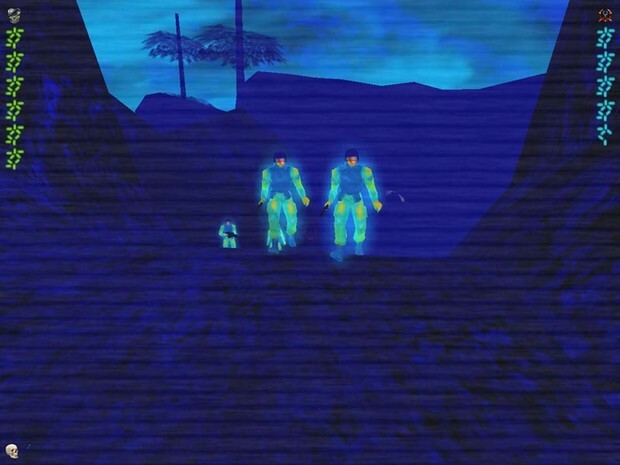 And a few of the less prominent marines (who seem like they have unique character models) are re-used like this. This would be ok, if not for the fact it's never really explained who's who, so when you're playing through you can be confused into thinking a character's dead when they're not, I mean after finding generic Duke dead it would be easy to presume the character were dead if it weren't for the fact he shows up later in the game. It's also sort of compounded by the fact the story, though very well done, can be a little sketchy at times when it comes to details. You're part of a marine contingent, but it's never really explained how many of you there are, how the force is organised, or even what squad you're in. 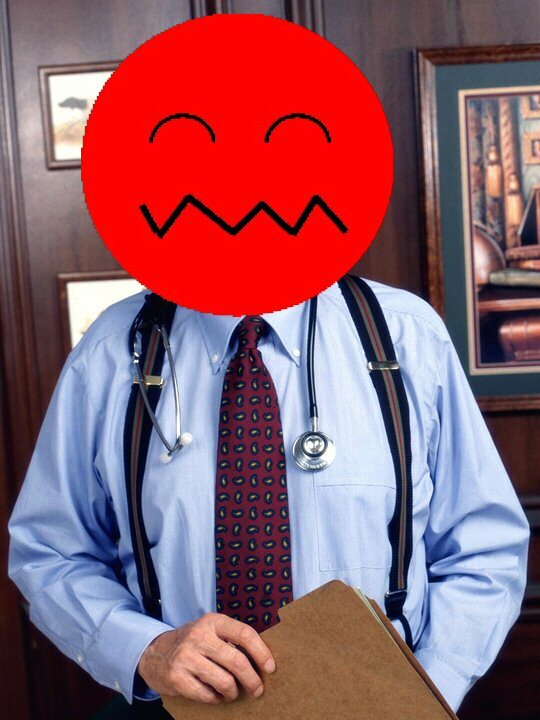 The only clue you have is that some guys have white shoulder pads, some red. In terms of gameplay it doesn't ruin anything but it makes the story a little confusing. Also, I think there's maybe 7 or 8(?) voice actors in the whole game, and you will notice the same voices coming up playing different characters, that sort of adds to the confusion, though a lot of the voice-work is very well done. None of this is enough to ruin the game in any way, but it does confuse things a little bit, it's hard to know what's going on sometimes. Probably the only other major downside, and one coming from somebody primarily a fan of the films, is that the xenomorphs don't really act much like they do in the films. To be fair this was also equally true of AvP1 but it's still a shame. Xenomorphs don't really hide or sneak up on you, they just pop out and rush at you. It's still scary, just don't expect to get pulled up into the ceiling anytime soon. On top of this, AvP2 swaps AvP1 one's random xenomorph spawning for scripted attacks, obviously first time through you won't know where they'll come from, but on subsequent playthroughs you'll know when to expect attacks. Again, it doesn't ruin the game, and given the age of the game it's forgivable, but eurgh, I'm being pedantic here so it matters. Though the game arguably shows its age in a lot of respects Aliens Vs Predator 2 still stands up as a really solid, enjoyable experience, and a fitting tribute to both the Aliens and Predator universes.